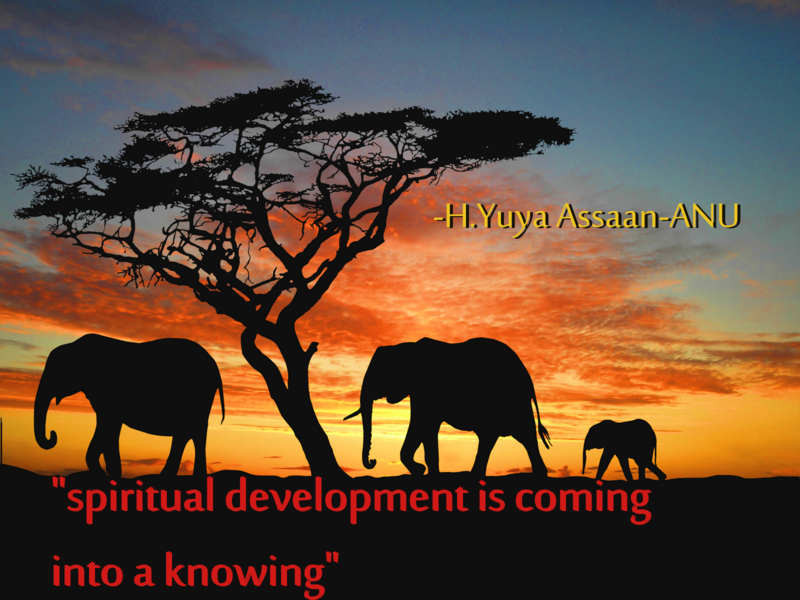 In this week's segment, the Chief Jegna HRU Yuya Assaan-ANU answered questions for life lesson. He will be answering questions every third Friday on Enlightenment and Transformation. He began the segment with "feeding the spirit of gratitude" and breaking down the science of "thankfulness". Often when I'm stuck in my internal vortex of egoistical and detrimental self-defeat, I can hardly see anything other than my own perceived pain. And because I'm so down in my lower nature wailing with low vibrations, I cannot muster an ounce of gratitude. But it seems to me that if you can find a way to be grateful even in that dark time it can pull you out of that sort of insanity. It is important to know what gratitude is especially when learning life lessons. On one level gratitude is the quality of being or feeling thankful. On another level "gratitude is an acknowledgement of the things you want to be present in your life and as long as you give it energy and acknowledgment it will persist" as the Chief explains. The same is true for an emotional black hole of doom. If you are too busy giving energy and time to things that you do not want, you will find that they are still in your life. So when you are working with spiritual energies, remember to thank them because as you do that you are reaffirming and renewing the contract that you made with the spirits when coming to the planet. By showing appreciation, you are signing that contract again and telling them that "I acknowledge what you do and this is how my thought form of you projects" the Chief says. This is one way of making sure that you do not turn your back on your guardians. In Grasping the Root of Divine Power there are a number of aduras that can help you give tribute to the spirit of nature, your guardians, Ancestors, your ori and the Supreme Being, Olodumare in proper cultural context as well as with the highest vibration possible. It has often been acknowledged that because of western social programming that most of us in the Diaspora grew up very ungrateful and often times miss opportunities to show genuine gratitude. But the great thing about gratitude is that is can be cultivated and it has been shown to increase the overall quality of one's life. While we to spiral upwards on our journey to our greatness, it is important to pay attention to one's life lessons and continue the "feed the spirit of gratitude".